I look forward to September and October because of the impending indie movie season. And every year, I am always pleased with what indie filmmakers are putting on the table. This year has been no different. 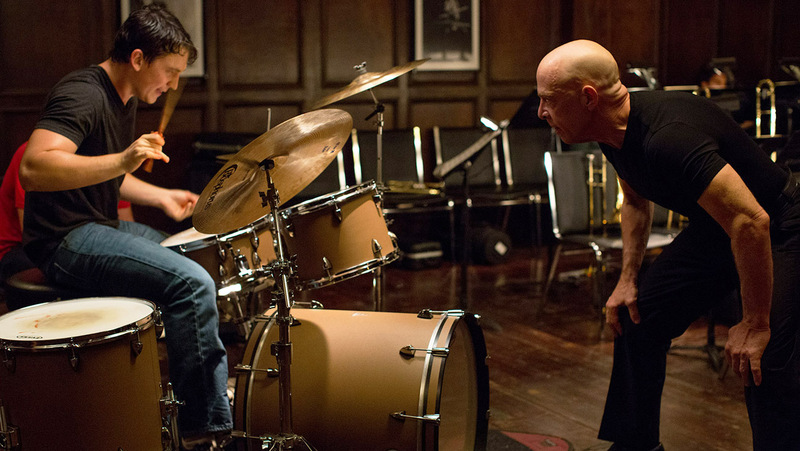 Whiplash is the most intense movie I’ve seen this year (even more tense than The Rover, The Drop and Fury). JK Simmons has officially crossed over into the “You were a little too good in that role and now I can’t trust you in real life club.” This club includes Laurence Fishburne for his depiction of Ike Turner, Robert DeNiro in Cape Fear, Christian Bale in, well everything, Edward Norton in Primal Fear/American History X, Juliette Lewis in Natural Born Killers and The Other Sister, Keith David in Requiem for a Dream, Tim Curry as Pennywise the Clown, Rosamund Pike in Gone Girl, and lastly, Giovanni Ribisi. I love him in most everything but he’s just a notch too slick. It’s kind of inexplicable. I digress, Whiplash not only has the best and most surpassing trailer of the year, it emotionally lives up to its name. It tells the story of Andrew Neyman (Miles Teller), a talented young jazz drummer, who attends a prestigious music conservatory. Andrew is obsessed with making it into the top jazz ensemble in the school, led by Terrence Fletcher (shudder, as played by JK Simmons) Fletcher is notorious for pushing his students to the max for great performances. Nonetheless, Andrew wants in, even though it may cost him more than he could ever imagine. Now this setup may seem light and mundane, but trust me, it is not. Teller, who usually plays either cuddly, teen protagonists (Spectacular Now) or the mildly dickish antagonist (Divergent) has really stepped up his game as Andrew. Watching him punch a hole through a snare drum and play so hard that his hands become bloody mush as tears trail down his defeated face has made me a believer in what this kid is selling the world. But it is without a doubt, Simmons, who showed up to steal the movie and the Best Supporting Actor Oscar 2015. The nuanced, subtle, over the top, disappointed father/abuser-type performance that he portrayed was nothing short of breathtaking. And just as the movie seemed to be heading toward a predictable ending, director/screenwriter Damien Chazelle, lifted the curtain for one of the most finely shot musical denouements I have ever witnessed.The acting, musical cues, cinematography, instrumentation, and visual execution make this a must-see movie for any lover of film. Bravo, Simmons. Encore, Chazelle.